A study by a Brown University economist has found that recent growth in political polarization is largest for demographic groups in which individuals are least likely to use the internet and social media—a finding that suggests the internet is not the most significant driver of rising polarization, despite the popular narrative that the web is to blame. "Our findings don't rule out that the internet has played some role in the recent rise in polarization," said Jesse M. Shapiro, study author and professor of economics at Brown. "But they cast doubt on some common narratives linking polarization to online news and social media." Shapiro coauthored the study, "Is the internet causing political polarization? Evidence from demographics," with Matthew Gentzkow and Levi Boxell from Stanford University. The authors note that many studies and measures indicate that Americans have become increasingly polarized in recent years, and that numerous researchers and commentators attribute increased polarization in part to the rise of social media and the internet. A common concern among those researchers, Shapiro and his coauthors wrote, is the tendency for online news sources or social media circles to create "echo-chambers" of like-minded individuals who paint the opposition as perpetrators of outrages and close off opportunities for conversation. To test the hypothesis that the web is a primary driver of rising polarization, Shapiro and his coauthors used data from the American National Election Study (ANES), a nationally representative, face-to-face survey of the voting-age population that has been conducted both pre- and post-election since 1948. 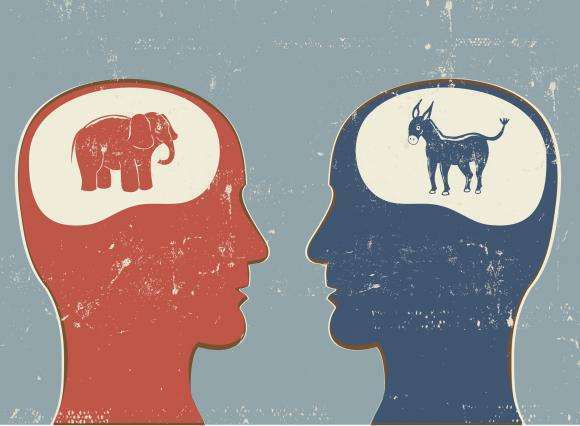 The ANES studies collect data on Americans' social backgrounds, political predispositions, social and political values, perceptions and evaluations of groups and candidates, and other issues, according to the ICPSR, a data archive of research in the social and behavioral sciences where the studies are accessible. Shapiro and his coauthors assessed whether demographic differences, in particular age, impacted trends in nine measures of political polarization, ranging from straight-ticket voting to affective polarization—the tendency of people identifying as Republicans or Democrats to view opposing partisans negatively and co-partisans positively. Age was the greatest predictor of internet and social media use, according to the study. Less than 20 percent of those aged 65 and older used social media in 2012, in contrast to the 80 percent of those aged 18 to 29 years. Yet the authors found that for eight of the nine individual measures, polarization increased more for that older demographic than for younger Americans. "These findings argue against the hypothesis that the internet in general or social media in particular are the main drivers of increasing polarization," the authors wrote. Any explanation identifying political polarization as an outgrowth of internet or social media use, they argued, would have to account for the rapid increase in partisanship among those with limited internet use and negligible use of social media. "I think the main culprits in explaining the rapid rise in polarization are probably to do with forces broader and deeper than the digitization of the news," Shapiro said.